SpaceHack Game from York Hackspace #piday #raspberrypi @Raspberry_Pi « Adafruit Industries – Makers, hackers, artists, designers and engineers! 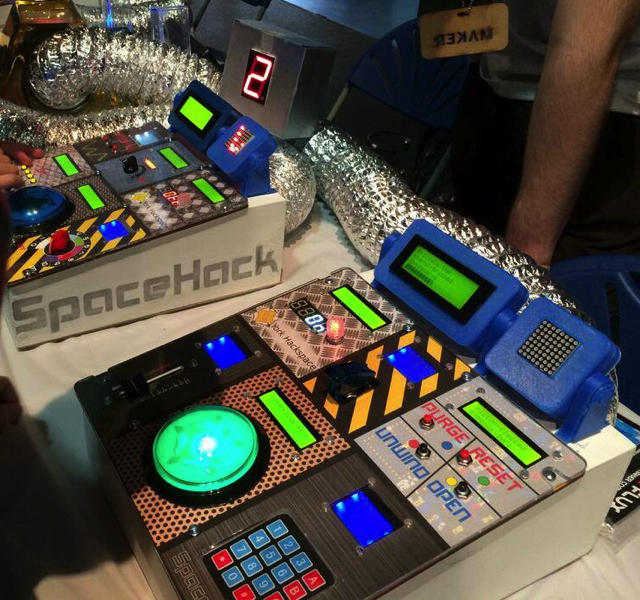 SpaceHack is an exciting fast-paced space themed hands-on visitor participation game built by York Hackspace, in which players are cast as crew members aboard the perpetually disaster-prone USS Guppy on its chaotic adventures across the universe. Crew must operate an ever-changing command console of controls and follow orders from their fellow crew members in order to try to keep the ship out of danger – but how long can they hold out? Every missed command brings the ship closer to destruction.